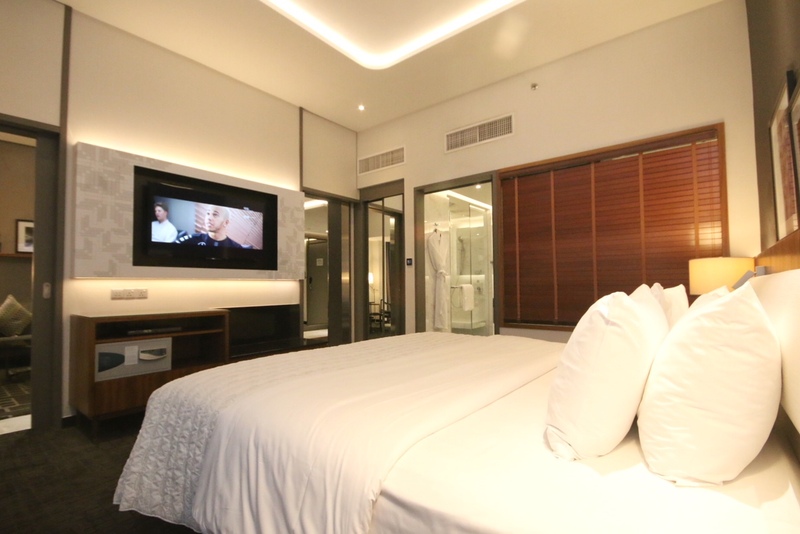 I couldn’t believe what I saw when I checked into my Luxury Suite Room at the Le Meridien Kuala Lumpur on my recent trip to Malaysia’s capital. Seriously? Just SG143 (about USD110) for this beautiful and generous sized suite? At that moment, I was overjoyed because I knew I got a great deal and good times were to follow. One of the main reasons why I chose to stay at the Le Meridien was its accessibility to the Kuala Lumpur International Airport. 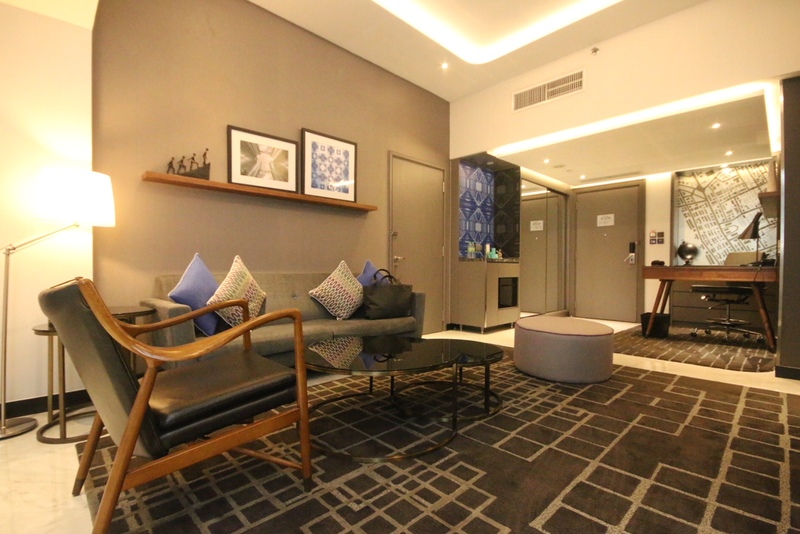 Conveniently located just above the KL Sentral station, it takes exactly 28 minutes to travel from the airport to the hotel. 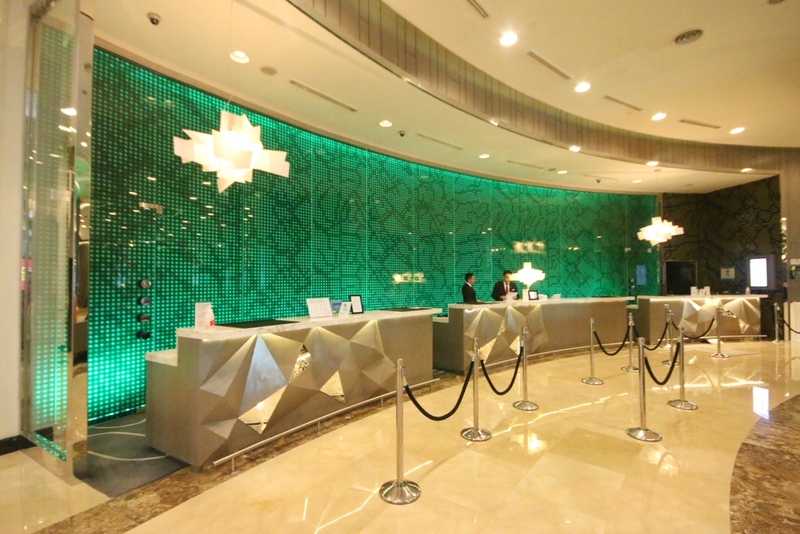 Once you exit the KL Sentral station, all you need to do is to follow the clear signs which point you to the hotel. 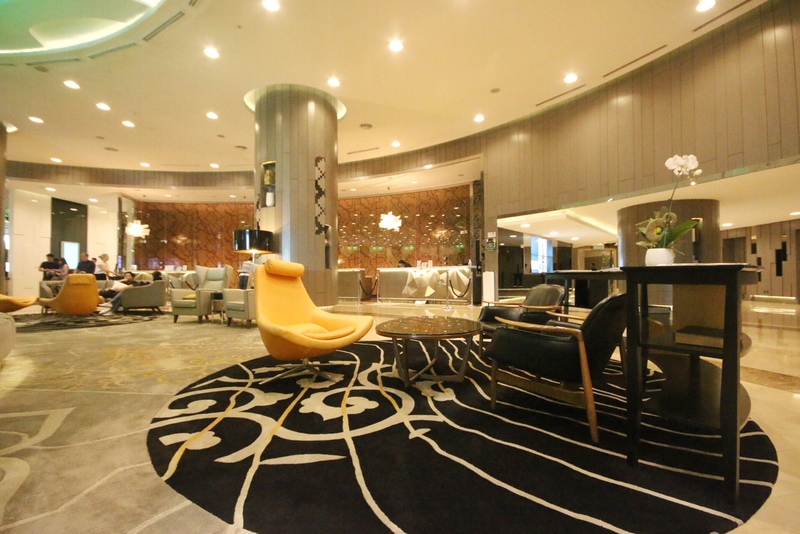 You don’t even have to leave the building as the Le Meridien Kuala Lumpur is connected to the transportation hub. As a SPG Gold member, my check-in was pretty fuss-free and before I knew it, I’m already in my spacious Luxury Suite Room on the top floor of the Le Meridien Kuala Lumpur. I was impressed with the clean and modern design of the room. 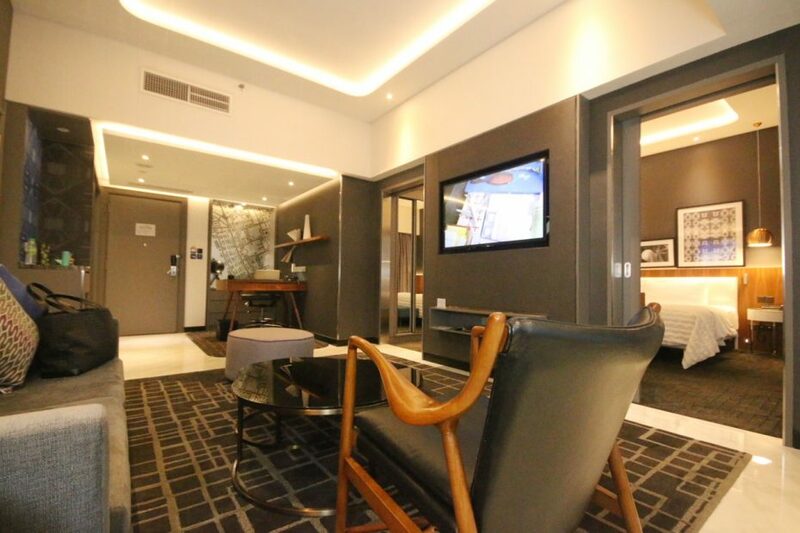 The grey and blue interiors is very much like a bachelor’s pad and it appeals to me straight away. At 69m², the Luxury Suite Room has a generous living and study area, and it offers an unblocked view of the city and the Lake Gardens. Although the bedroom is not as generous as the living area, it has this cozy feeling which is perfect for me. 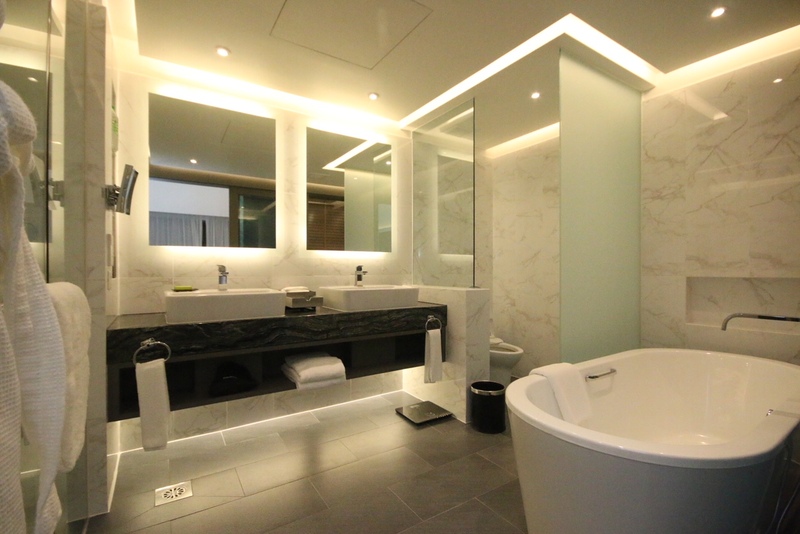 But what really blew me away was the luxurious cream marble bathroom which came with a spacious vanity area and New York-founded Malin+Goetz toiletries. I couldn’t believe my eyes! I’ve stayed in some of the other Le Meridiens but this by far is the best. And I love those little touches such as a complimentary bar of cookies for the guests. Thumbs up from a cookie lover. Remember I mentioned earlier that I got a good great deal? I booked my room through the hotel’s website and got to enjoy the ‘Find Your Suite Spot’ promotion which came with a complimentary buffet dinner and breakfast at the Latest Recipe restaurant and 3,000 Starwood points. 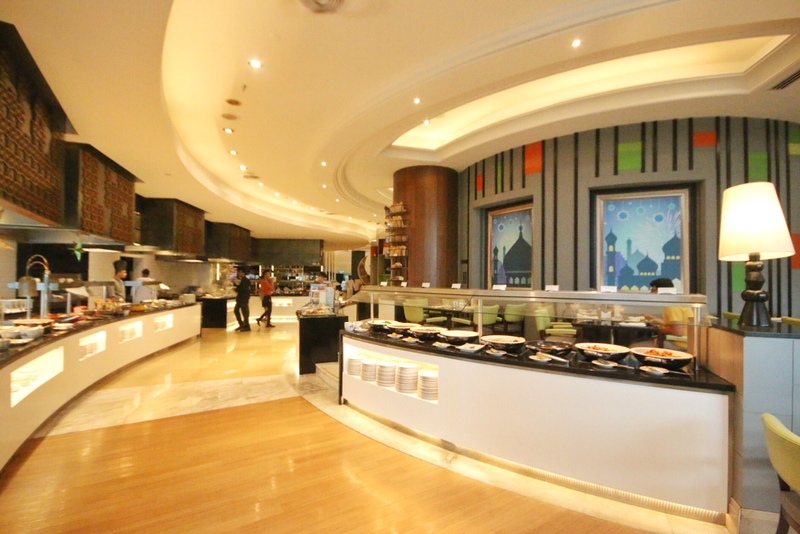 The wide variety of food selection, both local and international cuisines, is a huge magnet to attract many local diners and overseas travellers. 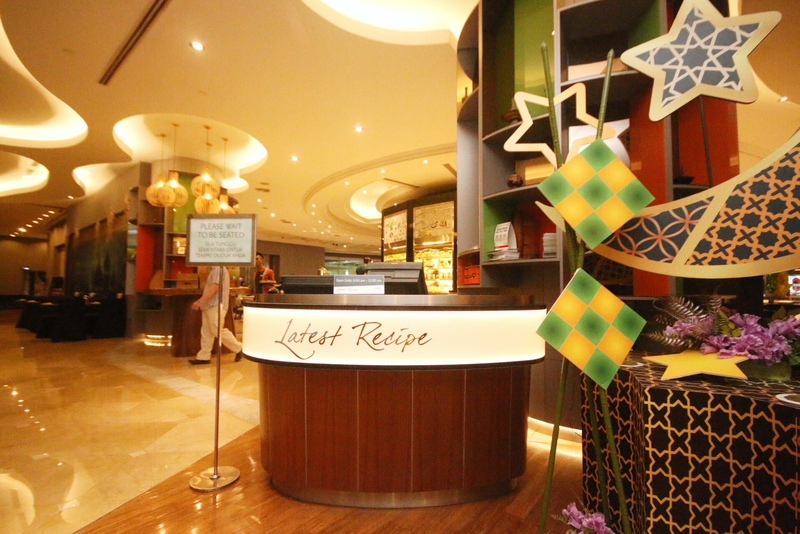 I particularly love the desserts section which consists of all-time favourites such as the chocolate fountain and tiramisu. Although the Latest Recipe has the quantity, the quality, on the other hand, paled in comparison. I was there during the Hari Raya holidays and they were serving mutton which I could smell from a distance. That really puts me off the meat section. Nevertheless, I was contented with the other selection such as the Japanese and Chinese stations. They were decent but not exceptional. Having said that, the breakfast was a much pleasant affair and I got to enjoy many local delights. 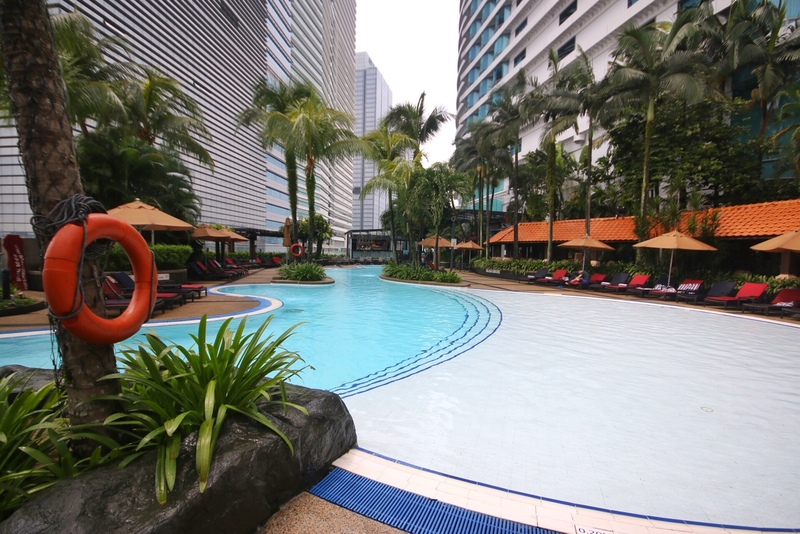 As for the common facilities, the Le Meridien shares the common free-form pool, gym and spa with the Hilton Kuala Lumpur, which is located in the adjacent tower. Personally, I enjoy both the gym and spa. Even though the spa is not huge, it has the basic facilities such as a sauna, steam room, hot and cold pool, decent enough for me to have some me-time. I truly enjoyed my stay at the Le Meridien and the only regret is that I didn’t stay long enough. But I told myself that should I visit Kuala Lumpur again, Le Meridien Kuala Lumpur would rank highly on my SPG hotel consideration list.